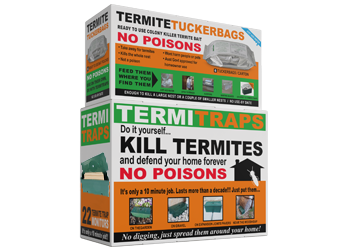 The two termites, Coptos and Schedos, that do almost all the damage to buildings, nest in the soil or in hollow trees OUTSIDE buildings. 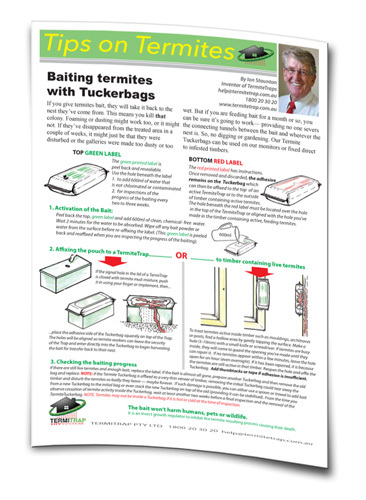 This means if, in discovering termites in your home you have disturbed them excessively, there may be none left alive inside to take bait back to the nest outside, or, if you’ve found termites in the mulch or garden leaf litter and they are not able to be baited directly, you will need to aggregate hundreds, maybe thousands into a container to which you can add the magic potion of bait for transfer back to the nest. 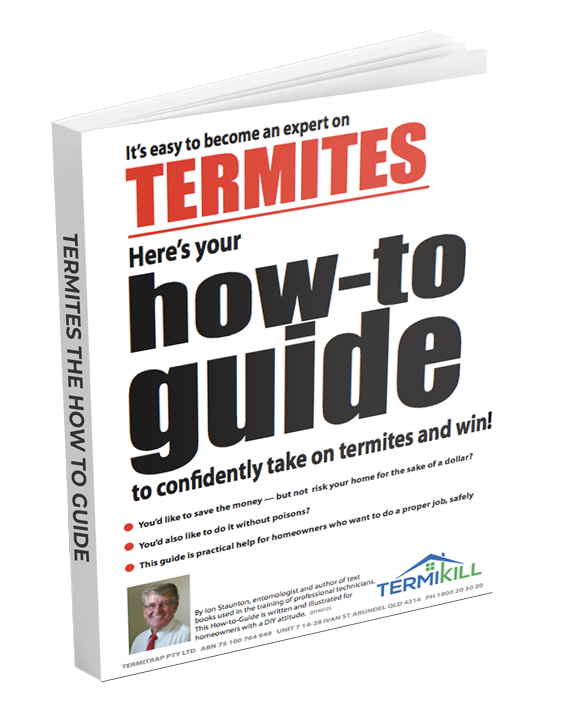 Since about 2001 mainstream pest control companies have begun installing monitoring systems around homes as a simple but very effective method of reducing termites getting into houses/buildings. They’ve been using this procedure ever since because it works! As a DIYer, you can do this job as well and cheaper. 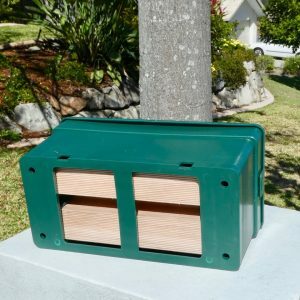 The principle is simple: If there are no termites in a building and the nests are outside the building, scouts looking for a new food source are highly likely to discover attractive timber in semi-sealed containers thoughtfully placed at 3 metre intervals around where they are snooping. 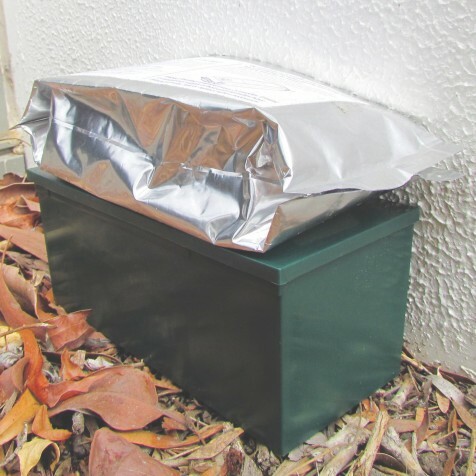 What is even more probable: a monitor/trap/station/aggregation device placed on the garden where you saw termites, will get their attention sooner. There are essentially two types of monitors, those buried in the ground and those placed above ground level. 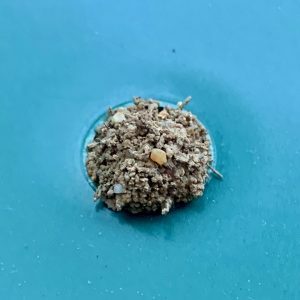 Termites mostly find in-ground monitors by burrowing though the (usually) upper 100mm of soil until they pick up the traces of carbon dioxide emanating from decaying wood and they turn ‘upstream’ toward the source. The effort required to do this is much greater than sending scouts up above the surface where they can traverse greater distances in a shorter time. Although scouts can and do walk across open ground and paths and pavers, the more instinctive method is for them to walk along joints and edges. Placing on-ground stations on concrete paths against walls with the openings over the gap in the expansion joint means the scouts moving along the joint are highly likely to encounter a station. Or, placing an on-ground station on the edge of the path against a fence puts it in the way of those scouts traversing along the edge of the path. Why specifically are on-ground monitors any better at intercepting scouts? The short answer is that it takes less energy and, more distance can be covered by scouting above the soil. Every piece of timber that has ever been attacked above the foundations of a building has been found because scouts have left the ground to find it. The only place you wouldn’t use an on-ground station is in a lawn. Which also means the time taken and the energy cost to us humans is also much less for the installation procedure. 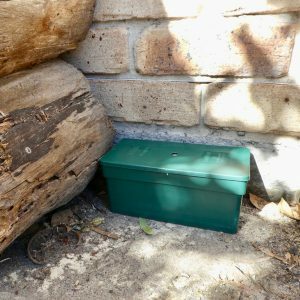 The UV protected plastic box is open at the bottom, contains attractive-to-termites timber and there is no digging to place them at about 3 metre intervals around your buildings. This is a DIY Trap was placed on a garden against a wall. The hole in the lid has been filled with termite ‘mud’ mixture to prevent loss of humidity and to exclude ants. The blocked hole is the signal to tell you they’ve arrived and to begin the baiting process. The underside of the bait pouch is adhesive to stick it to the lid allowing direct access into the bait. When termites are no longer feeding the Trap can be washed out, new timber slats added and replaced on duty in case another colony develops.